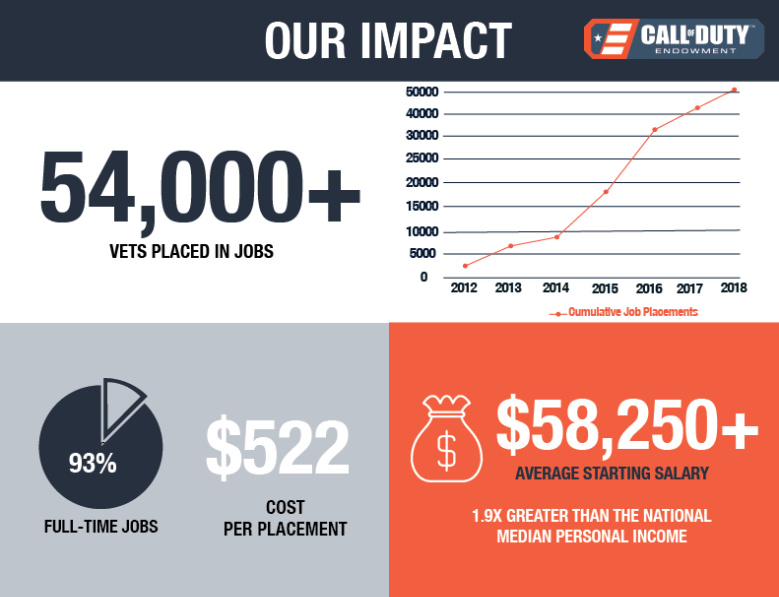 Founded back in 2009 by Activision’s Bobby Kotick, the Call of Duty Endowment is a nonprofit organization that seeks to connect veterans in the United States and UK with high-quality, high-paying jobs. The endowment says that these jobs are the most tangible resource that they can provide to vets in need. As of 2019, the organization has now placed more than 54,000 vets in jobs as it heads into its tenth year. 2018 marked a huge milestone as they surpassed their goal of 50,000 total vets helped earlier than their projections. That number comes from more than 10,000 veterans assisted during 2018 alone. The Endowment also touted a low average cost-per-placement of $522 during last year, a number they say is almost six times better than similar efforts by the United States Government to place veterans in jobs. They released a few additional statistics and notable callouts from the Call of Duty Endowment’s 2018 numbers and accomplishments. The Endowment has done some research and found that “one third of working veterans [are] underemployed, and [there’s] a 59% increase in veterans asking for help.” With this in mind, the Call of Duty Endowment also has a goal of raising awareness of the kind of value that veterans bring to the workplace. Going forward, the Call of Duty Endowment wants to reach 100,000 veterans placed in jobs by 2024. You can help them do that by donating on their site. 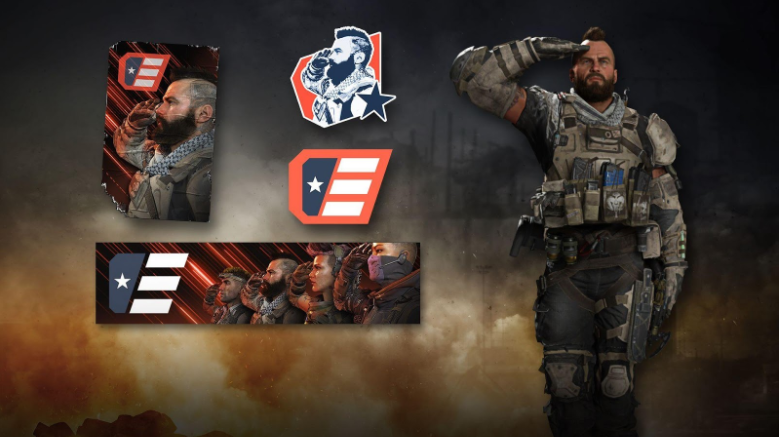 You can also purchase the Call of Duty Endowment Salute Pack in Call of Duty: Black Ops 4, which includes a tag, sticker, gesture, calling card, and emblem (seen in the image at the top of the page). 100% of the purchase of the Salute Pack goes to Endowment grantees and helping the organization achieve their goals. Activision Blizzard covers all overhead costs on the for the pack. If you or someone you know are a vet from the US or UK looking for assistance from the Call of Duty Endowment, you can visit their website where they can connect you with one of their partners who will assist in the job search. For further information or updates about the Call of Duty Endowment, or if you’d like to place an online donation, visit the Call of Duty Endowment website, and follow them on Facebook and Twitter.